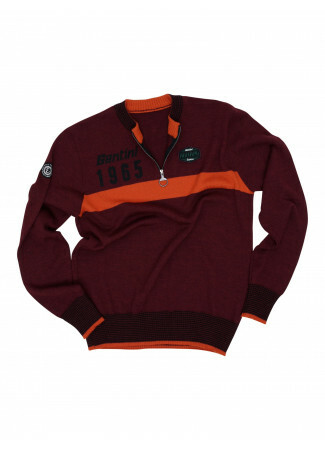 Long-sleeved woolen sweater with a polyester interior. 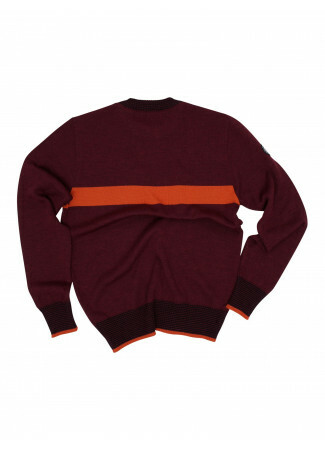 Skilfully knitted woollen inserts on the chest, right arm and cuffs make for a stylish casual sweater. Incorporating the deep rich tones that are synonymous with Tuscany and its dusty gravel roads on which LEroica was born. Nearly perfect top for Seattle. I'm really liking it, so far. It fits slightly larger than another Santini top, both are size L. So far, it is the jersey I grab for riding; and/but since it is wool, I haven't needed to wash it yet.